HomePress ReleasesAlachua County Leads The Charge To Recycle Rechargeable Batteries. Alachua County Leads The Charge To Recycle Rechargeable Batteries. GAINESVILLE, July 17, 2001 – Cited for its ongoing and innovative recycling programs, the Alachua County Household Hazardous Waste Program will receive the Rechargeable Battery Recycling Corporation’s (RBRC) first annual Regional Community Recycling Leadership Award. The award will be announced on Tuesday, July 24, during the Alachua County Commissioner’s meeting at 10:30 a.m. An official award ceremony will take place at the Leveda Brown Environmental Park and Transfer Station in Gainesville at 12 p.m. Receiving the award on behalf of the Alachua County Environmental Protection Department will be Chris Bird, Director; John Mousa, Pollution Prevention Manager; and Kurt Seaburg, Hazardous Waste Coordinator. RBRC is a nonprofit, public service organization dedicated to recycling rechargeable batteries. RBRC was founded in 1996 and headquartered in Gainesville until 2000, when the company relocated to Atlanta. Since RBRC’s inception, Alachua County has actively participated in RBRC’s battery recycling program. Some of the county’s initiatives include curbside collection, battery recycling brochures, recycling center tours, participation in the RBRC school curriculum program, public service announcements and mobile collection sites. In 2000, Alachua County collected over 1,200 pounds of rechargeable batteries, making it one of the nation’s leaders in rechargeable battery recycling. Rechargeable batteries are found in a variety of portable electronic products, ranging from cellular phones to cordless power tools to laptop computers. 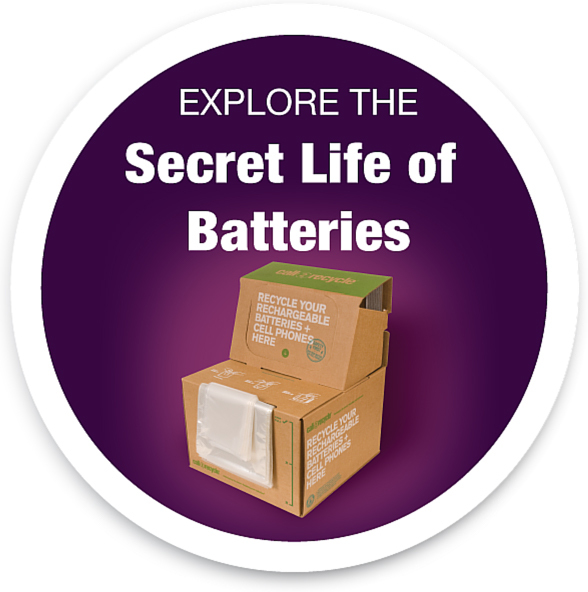 As the number of those products increases, so does the amount of batteries used to operate them. The RBRC Regional Community Recycling Leadership Award was established to recognize RBRC community program participants for their outstanding efforts in rechargeable battery recycling. This is the first year the award has been given. Earlier this year, RBRC also recognized Hennepin County in Minnesota for their recycling efforts. 1-800-8-BATTERY or go to www.rbrc.org or to find the nearest rechargeable battery drop-off location.